The client, based in New Jersey, USA, is a leading provider of debt collection, accounts receivable management and call center services. They were looking at ways to reduce the operating expenditures and improve productivity of their operations. 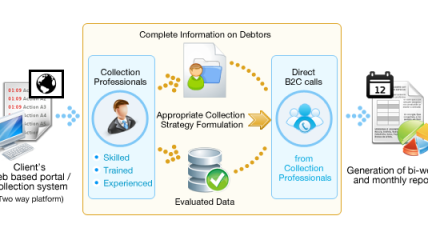 With the aim of controlling the steady growth of outstanding debt, Rishabh Software was selected to provide outsourcing services for collections from debtors. Rishabh Software adopted an innovative approach that captured information provided by the client, evaluated this data and then tailored an appropriate collection strategy. This provided a high quality – cost efficient solution using a skilled resource pool of agents along with an enhanced telecommunication network. 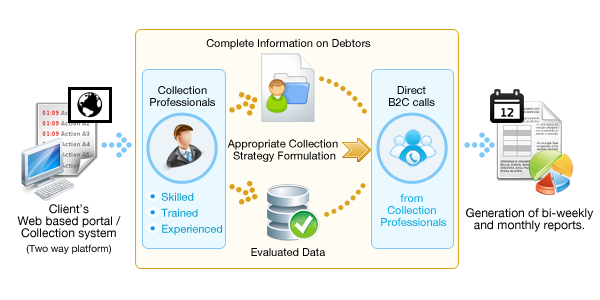 A highly competent and well trained team of collection professionals at Rishabh Software made direct business-to-consumer (B2C) collection calls to debtors.